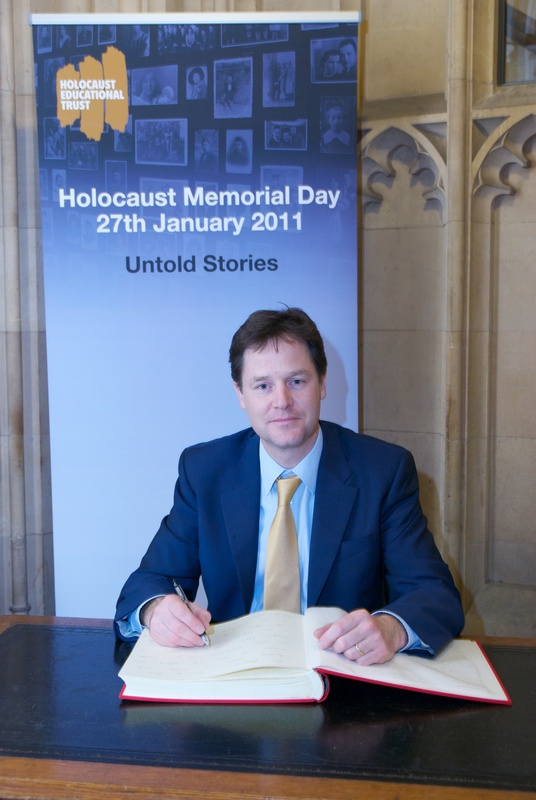 Deputy Prime Minister, and Leader of the Liberal Democrat’s, Nick Clegg has signed the Holocaust Memorial Day Book of Commitment. The book was placed in Parliament by the Holocaust Education Trust for members to sign, in order to remind people of the horrors suffered by millions of Jews in the Holocaust, and the genocides that have taken place since. Holocaust Memorial Day was commemorated on January 27th, the day in 1945 that the Auschwitz-Birkenau camp was liberated.